Of all of the games available to US players via online gambling, craps may be the most misunderstood. Although it looks as if it is a difficult game to learn due to the many different bets offered and the manner in which action is established and develops, craps is actually a game of basics. It’s true that there are a total of 40 different wagers that you can make in this very exciting game, and many of those bets are complex. But after learning a few simple rules and concepts, the beginner will be able to start playing, enjoying and winning at craps in no time. 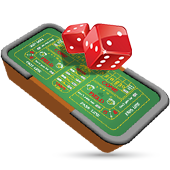 Online craps gambling involves the tossing of a pair of virtual dice. Prior to the roll of the dice, players make wagers on what they expect will happen. Some of these bets include a high house edge, but there are basic bets that offer good odds to the player. These are the bets that most craps players will make and most will win. These bets pay even odds. In online craps gambling, you place the amount you want to risk on the appropriate area of the craps table. This happens prior to the roll of the dice. Once all bets are made, the dice are rolled. Depending on the outcome, you may then make an additional wager based on the success or failure of the next roll or you may simply make a new wager. The basic bet in craps is the Pass bet. It’s the most popular bet, and it carries a very low house edge of 1.41 percent. To make a Pass wager, the player waits for the Come Out roll. The Come Out roll occurs when there is a new shooter and thus a new sequence in the wagering cycle. To make an online Pass bet simply place your wager on the table’s pass line. If the Come Out roll results in a 7 or 11, you win. The odds for this bet are 1-1. If the shooter hits 2, 3 or 12, you’ve got craps and you lose. The shooter loses their bet too but they are allowed to roll again. In online craps gambling, a point is established if any other number is hit. These point numbers are 4, 5, 6, 8, 9 and 10. These numerals are also called box numbers due to the fact that each appears on the craps table in a box. If a box number is hit on the come out roll, the croupier marks it as a point of reference for the next sequence of rolls. After making the point, the shooter must roll that same number again before rolling a 7. As an example, if the craps shooter hits a 5 on the first roll, he/she must then roll another 5 before they toss a 7. If the shooter is able to make the point, which in our case is making a 5 before they hit a 7, then the Pass bet is won and that same shooter gets to roll a new come out roll. This outcome is a craps player’s best case scenario. However, if a 7 is rolled before the point, then the Pass bets are lost and the dice are passed to the next craps shooter. That new shooter will make a new Come Out roll after bets have been made. With this basic knowledge, you can start to enjoy online craps gambling. It’s true that you’ll be making the most basic wager, but you’ll also be putting your money on a bet that offers a low house edge. That means that you have a good chance of winning it. One of the best things about the Pass bet is that there are various ways for you to win it. This makes it a very attractive wager. Play the Pass bet using small wagering units. Don’t overextend your bankroll. Internet craps is a purposeful game that can offer players a lot of engaging fun over a long period of time for a small amount of money. Make sensible wagers. One other craps bet to consider making is the Come bet. The difference between this and the Pass bet is the Come wager can be placed while a round of shooting is in progress. It carries the same odds as the Pass wager and follows the same rules. Thus, on the next roll if the shooter hits a 7 or 11, you win, and if they get craps, you lose. Any other number results in a point being established and the sequence continuing as it does with the Pass bet. Use the Pass and Come bets to start playing craps at US player Internet casinos today. In time, you’ll be able to make other wagers, taking advantage of developing situations at the craps table. For those who enjoy the excitement and energy of online gambling, craps is the game of choice. A turn at the craps table can be peppered with numerous ups and downs. Although the roll of the dice is always unpredictable, the low house edge provides you with a good chance of winning. Please see our list of sites offering online craps gambling. These are quality Internet casinos that provide players with a lot of action and great value. Keep it simple at the craps table and have a great time.